The North American subsidiary of Lube Corporation, headquartered in Tokyo, LUBE USA was founded in 1987. 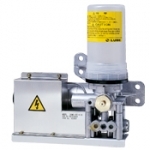 MotionSource offers their variety of lubrication systems for most any application. 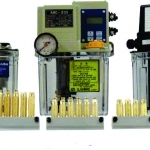 Their Single Line Resistance Oil Systems (SLR) provide economical solutions and are available in Electric, Pneumatic and Manual configurations. MotionSource also recommends their workhorse Positive Displacement Injection Oil Systems (PDI) that provide durability and are engineered for very precise lubrication delivery. 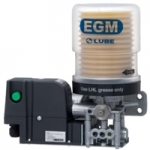 LUBE USA’s Grease Systems offer greater reliability, larger volume deliveries and various options for lube point monitoring. With the eco-friendly and cost-effective LUBE Hybrid Lubrication Systems (LHL), the advantages and increased profits increase your ROI. 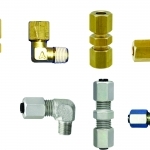 MotionSource is a full line partner with a wide selection of tubing, fittings and other lube accessories for total operation and maintenance of your critical lubrication systems. 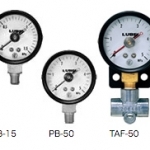 Recently moving to their state of the art manufacturing and distribution center in Greenville, South Carolina, LUBE USA is the technology leader in automated lubrication. The product line of Lube Corporation plus their 50+ years of serving the lubrication systems industry lead to the perfect match between LUBE USA and Lube Corporation and MotionSource. 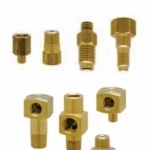 They have been serving the industries such as machine tool, plastic injection molding, packaging, metal stamping, food processing, wood working and automotive. Call us at +1 888-963-MOTO (888-963-6686) or email us at Sales@MotionSource1.com with any technical questions or for a quote. Click on any of the product categories for more information. MotionSource is a LUBE USA distributor and partner with trained technicians and engineers to ensure your equipment receives the correct lubrication when it needs it. This adds years to your equipment and increases your ROI with longer production life. As a LUBE USA distributor and partner, we are required to stay current on the unending technology that LUBE USA adds to their product line. We are not a re-seller. Re-sellers do not receive training and generally do not have an engineering team. When you purchase from a re-seller you’re purchasing from a middle man increasing your cost and possibly not getting the best solution for your job. Work with a genuine LUBE USA distributor and partner, MotionSource. When you work with MotionSource, your working with THE LUBE USA SOURCE. 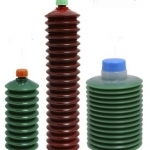 Need help with service or installation of your pump? MotionSource has a 24/7 full-service team ready to help with what you need, when you need it. Our service technicians are professionally trained and certified to help with your pump needs. If you just need technical help, give us a call 888-963-6686. All of our customer support team is professionally trained as well. With over 150+ aggregate years of fluid power experience, MotionSource is your Source for automated lubrication!